In 1981, The Last Act, Poslednji cin, a four part Yugoslav television mini-series was produced by Radiotelevizija Beograd (RTB). 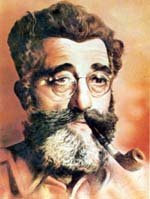 The TV series was a historical dramatization of the apprehension of Draza Mihailovich by OZNA agents in 1946. 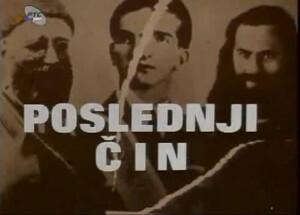 The series was featured on Yugoslav television by RTB and was rebroadcast by Radiotelevizija Srbije (RTS) in 2005, marking the 60th anniversary of the end of World War II. The series starred Milan Puzic as General Draza Mihailovich, Zoran Rankic as Nikola Kalabic, Dragan Nikolic as Major Ljuba Popovic, and Milan Bogunovic as Pukovnik Slobodan Penezic Krcun. Danilo Lazovic played Potpukovnik Lazic, Mirko Bulovic played Vasiljevic, an aide to Draza Mihailovich, Miodrag Krstovic was Dane, and Djordje Jovanovic was Majstorovic. The TV series also featured Rastislav Jovic as Kotarac, Tanasije Uzunovic as Japan, Mihajlo Viktorovic as Jovan Markovic, and Dusan Vojnovic as Milovan Jankovic. The series was directed by Sava Mrmak. 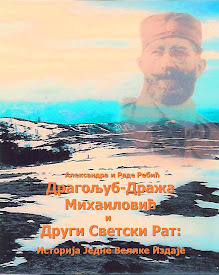 Sinisa Pavic wrote the screenplay based on the book by Milovan Pejanovic entitled Velika igra sa Dražom Mihailovicem, The Great Game with Draza Mihailovich, under the pseudonym Ljuba Popovic, published in 1971 in Belgrade by Grafika Bgd. The original music for the series was composed by Vartkes Baronijan. 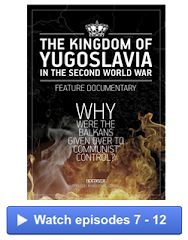 The first episode begins in May, 1945 as Chetnik guerrillas under General Draza Mihailovich are battling Yugoslav Communist troops in the Zelengora area of Bosnia in the Sutjeska region. On May 12-13, 1945, the mountain was the scene of a battle between Chetniks and Communist Partisans under Josip Broz Tito. Chetnik guerrillas are shown riding on horseback to a house in the forest as explosions and gun fire can be heard in the distance. A Chetnik commander enters the house with his men. A radio operator tells them: Hitler has killed himself. The Germans have capitulated. The war is over. The title credits are shown with black and white photographs of Draza Mihailovich and King Peter II. The photograph of Peter II is torn asunder. A Chetnik commander enters a house where Draza Mihailovich is seated at a table looking over a map with Nikola Kalabic. No retreat is left to the Chetnik forces. He asks Mihailovich which way to retreat, through Croatia, Montenegro, Italy, or Austria. Mihailovich tells him that the situation on the front is not clear yet. Kalabic says that there is no longer a front. 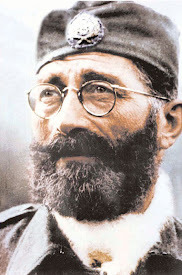 Draza tells them that Ante Pavelic has not given approval for a retreat across Croatia. He tells them that they have to focus on Serbia. and Zoran Rankic as Nikola Kalabic in The Last Act. A communist radio message is heard celebrating the victory over fascism. The speaker equates the Ustasha with the Chetniks as opponents of the new Communist regime. Mihailovich’s message is then broadcast. Draza tells Kalabic that the war is not won yet. He has to be ready when a crisis emerges to regain control of Serbia. Kalabic then crosses himself and pledges his loyalty to Draza and departs. Draza also departs on horseback amid exploding shells. The scene then shifts to Belgrade, October, 1945. The OZNA office of Ljuba Popovic is shown. A prostitute is interrogated who has an intercepted letter from the Chetnik commander in Valjevo. The OZNA commander explains to his agents the goals of OZNA: First, to combat Chetnik infiltration into Serbia and to prevent terror. Second, to apprehend Draza Mihailovich alive, so that he can admit his crimes in front of a microphone, to be covered by newspapers, radio, and before cameras. Using the intercepted letter, OZNA is able to locate the contact in Belgrade for the Chetniks. Ljuba Popovic and another OZNA agent go to his residence and arrest him. Brought to OZNA headquarters, he is forced to write a letter to entrap the Chetniks. Ljuba Popovic is sent as an undercover agent to infiltrate the Chetniks. He poses as a refugee of the new Communist regime, a down-on-his-luck lawyer. He is able to infiltrate the Chetniks who think he is the contact from Belgrade. He tells them that he has foreign contacts and can get them into Belgrade. He tells them that he wants to meet Draza Mihailovich. A Chetnik soldier tells him that Draza is far away and it is hard to get to him. But Kalabic is near. And Kalabic wants to meet with Popovic. Before meeting with Kalabic, Popovic is briefed on Kalabic at OZNA headquarters. Kalabic is dangerous. Popovic has to be armed at all times and supported by other agents. He is told to tell the Chetniks that an intervention is planned on their behalf. Popovic meets with Kalabic. They agree that Popovic will take him to Belgrade. OZNA has the house staked out, however, and arrest Kalabic shortly after his arrival in an American jeep. In episode three, Kalabic is shown in a Belgrade prison in January, 1946. Kalabic agrees to help OZNA capture Mihailovich. 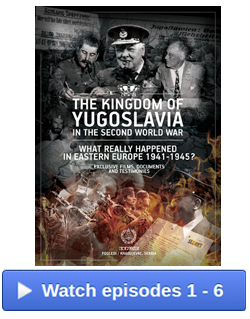 Based on the official Communist account of events, Kalabic allegedly came in the autumn of 1945 to Valjevo. OZNA infiltrated his ranks by placing an undercover agent among his Chetnik troops. One OZNA agent was disguised as an American, who seeks to get them to escape from the country. Kalabic falls for it and goes to Belgrade. Kalabic is subsequently arrested. Kalabic is promised immunity if he will betray Mihailovich whom OZNA wants alive to discredit the Ravna Gora movement. Kalabic agrees to the OZNA plan. 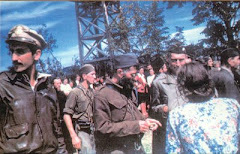 In episode four, Kalabic is shown training OZNA agents disguised as Chetniks. He works with OZNA to train 12 oznasi to infiltrate the Chetnik ranks and capture Draza Mihailovich. He goes with the OZNA agents and gains the confidence of the Chetnik guards. 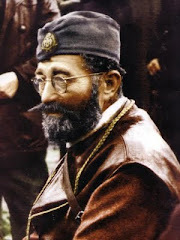 Because of his reputation, Kalabic is welcomed openly by the Chetniks. Draza Mihailovich greets him warmly with open arms: “It is you, cika Pera. You have not forgotten me, Nikola”. 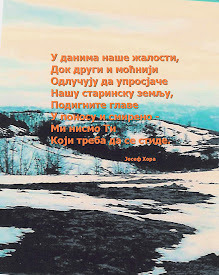 Draza does not doubt his sincerity and genuineness. The OZNA agents are not detected. They gain the trust of Draza and the other Chetniks. Kalabic convinces them that the time is right to move into Serbia. He tells them that events now favor the Chetniks. Draza is convinced and orders the men to move out. While in the forest, the OZNA agents open fire on the Chetniks and overwhelm them. Draza is captured. 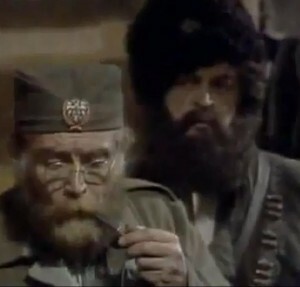 Like Klopka za generala (1971), the central element of the plot revolves around the alleged betrayal of Draza Mihailovich by Nikola Kalabic. The earlier film was more a generic “spy thriller” while the TV mini-series seeks to be a more factually detailed historical dramatization of the events. The events are based on OZNA accounts. Milan Puzic gives a more sympathetic and convincing portrayal. In Klopka za generala, Rade Markovic gave a stiff, uncomfortable performance. Markovic appeared frozen in shock and trauma with an unchanging expression of bewilderment and confusion on his face. He looked like a deer caught in the headlights for the entire movie. He was crude, shallow, cunning, and calculating. Puzic, however, shows Mihailovich as committed and dedicated to the cause. He is genuine in his convictions. He is more of a tragic figure, abandoned by all. But his motives are never questioned. He wanted what he thought was in the best interests of the people of Yugoslavia and of Serbia. This mini-series presents the official Communist version of events. OZNA even released three photographs of Kalabic while under arrest. These photographs, however, have been challenged as forgeries. They have been challenged as faked and staged. Letters that Kalabic allegedly wrote while under OZNA arrest also have been debunked as forgeries. The official Communist version of events thus has not been disproved although it has been attacked and disputed. The series dramatizes the official Communist or Partisan narrative of the events that led to the apprehension of Draza Mihailovich. While the details have varied over time, the general outline remains the same in the Communist narrative of events, dramatized in this TV mini-series and in the earlier 1971 movie Klopka za generala. Kalabic is the heavy or the fall guy in this series. It is his treachery and betrayal that are the focus of censure. He is portrayed as a braggart, deluded about his self-importance, a loud mouth, vain-glorious, and incompetent. He is a person with little conviction or beliefs. He is a buffoon, crude, brutish, boorish, and primitive. Was this portrayal accurate? OSS liaison officer, U.S. 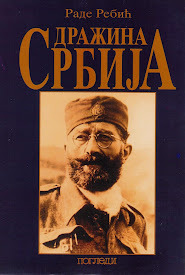 Colonel Albert B. Seitz, who met Kalabic in Stragari, in Serbia, in November, 1943, described Kalabic in his 1953 account Mihailovic: Hoax or Hero?, published by Leigh House, Columbus, Ohio: “Nikola was one of the most interesting people in whole Yugoslavia. … He looked like an imposing gentleman and soldier. His heroism soon became legendary.” Seitz was even photographed giving a Colt pistol to Kalabic in the presence of British SOE Captain Duane T. “Bill” Hudson. 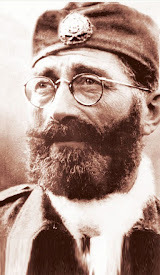 In Seitz’s judgment, Draza Mihailovich was a “hero” and a “martyr” who was betrayed by the Allies as described in the book: “The sensational expose of the Tito hoax and the betrayal of a hero by the Allies. OSS wartime chief of mission in Jugoslavia bares the astounding story of a nation betrayed.” Mihailovich is described as “the greatest guerrilla of them all” who was “damned by fate, the cynicism of Allied politicians and the false propaganda of the Russians, to die a martyr’s death.” The U.S. characterization and portrayal was the opposite of that proffered by the Yugoslav Communist regime. Here was cognitive dissonance. The story is one of betrayal. Kalabic is the Judas Iscariot to Draza Mihailovich’s Jesus Christ, Brutus to Julius Caesar. It is Kalabic who is the object of opprobrium and castigation. In the end, Draza tells the prosecutor, without Kalabic’s cowardly betrayal, I would never have been caught. Draza places all blame on Kalabic. The prosecutor tells him that Kalabic was a surveyor before the war. The conflict elevated him to undue importance. Draza Mihailovich is portrayed as the loser or victim in the story. As a result, victor’s justice is meted out to him. He lost, so he must pay the price. But he is not judged. He is like a character in a Greek tragedy. Betrayed and forsaken by all, his fate is sealed and he must only play his destined part until the end. The prosecutor tells him in the final scene that both his son and daughter had joined the Partisans in 1944. No one was behind him anymore. All had forsaken him. Even Peter II had broadcast over the radio in 1944 that all resistance groups in occupied Yugoslavia had to follow Josip Broz Tito. Peter was ordered to abandon Draza because of Winston Churchill’s switch of support to Tito. The US and the USSR followed. 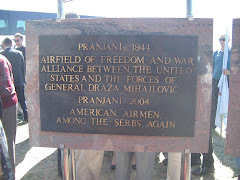 Draza became a pariah and was abandoned by the Allies. His fate was sealed then. The only task left to him was to write his last will and testament. The Partisans only put the nail in the coffin. This is a point the movie makes effectively. Events transpired to Draza’s detriment. But he always did what he believed to be correct and which was true to his character and ideals and objectives. Historical forces are bigger than any one individual. The pressure of history can crush any man or woman. History is fickle and cruel. History does not end here, however, for Draza Mihailovich. A new mini-series is planned for 2013 written and directed by Rados Bajic starring Nebojsa Glogovac as Draza Mihailoich in a more objective, even-handed, and balanced treatment entitled Ravna Gora. The series will be produced by Radio Televizija Srbije (RTS) and Contrast Studios. The Last Act, Poslednji cin, is not the last act of Draza Mihailovich. There are many more acts to follow.